The revolution in Ghillie Brogue design The Piper Brogue utilises the latest technology including: micro-cellular rubber layering, full-length high-density padded insole, padded top-line for extra comfort and premium quality full-leather upper. The Endrick is our budget brogue. 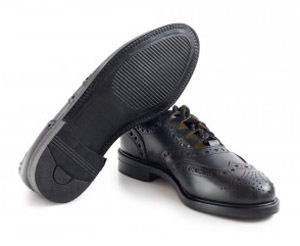 Don't be fooled by the price this is a quality brogue that is tried and tested in Pipe Band competitions and parades. �Padded top line for extra comfort. 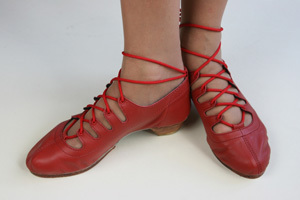 A popular Ghillie with Scottish Country Dancers who prefer a slightly wider fitting shoe designed for the right and left foot. 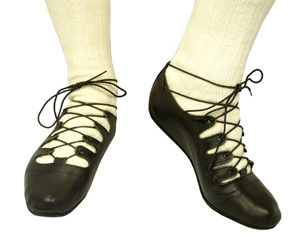 An extensive size range is available from Child 10 - Adult 13 1/2 in half sizes. Please note that the sizing is adult sizing, eg. the size 9 is an adult size 9. Size range Child 12 - Adult 9 in whole sizes. 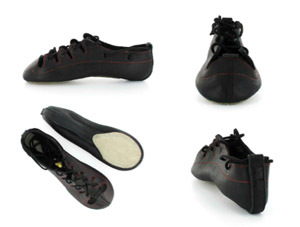 All shoes are fitted with in-built Poron Shock Absorber technology as standard. 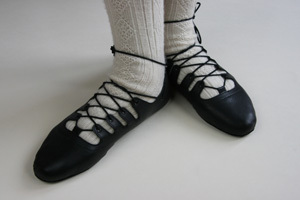 All shoes now have our newly-developed flexi-sole piece, unique to James Senior. 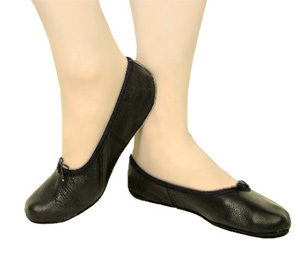 A wider fitting Pump designed for the right and left foot with a drawstring elastic top-line to ensure a neat fit. Size range 2 - 9 1/2 in half sizes.